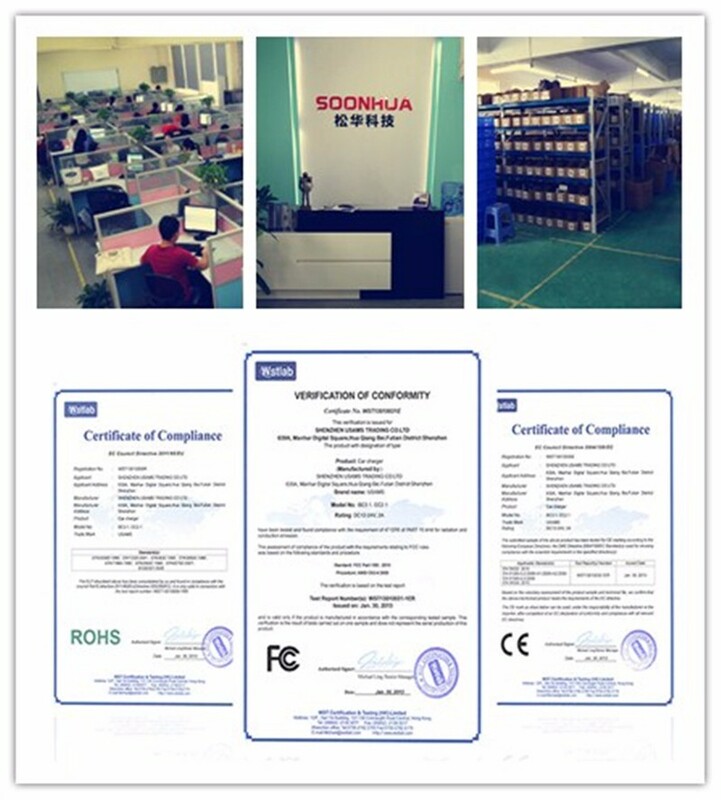 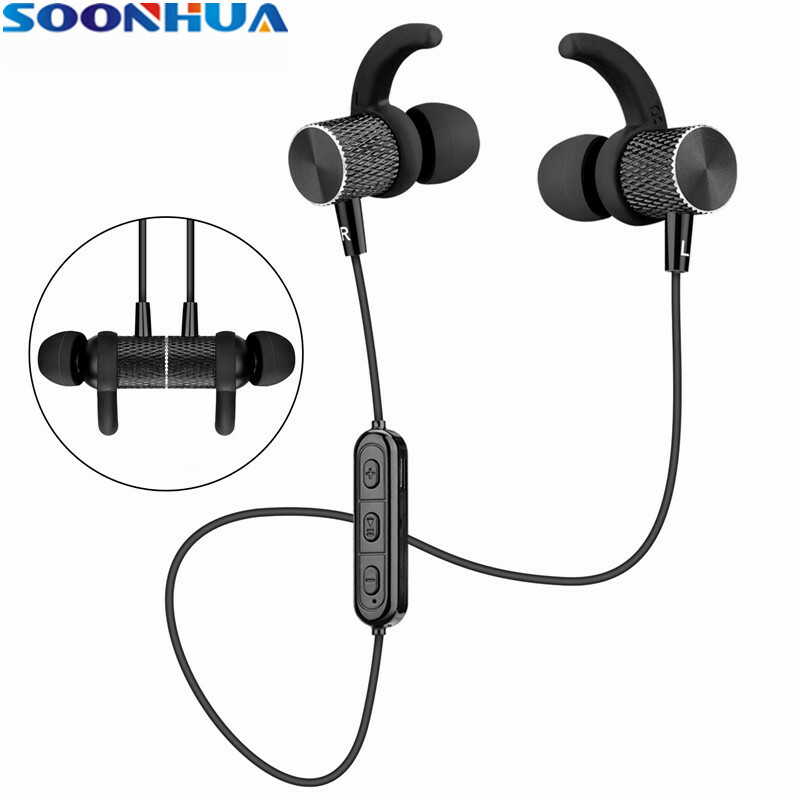 SOONHUA Bluetooth Headphone V4.1 Sports Sweatproof Earphone Wireless Magnetic Automatic Turning on/off Headset for Mobile Phone 1.The distinctive magnetic automatic turning on/off design brings you a cool, excellent experience. 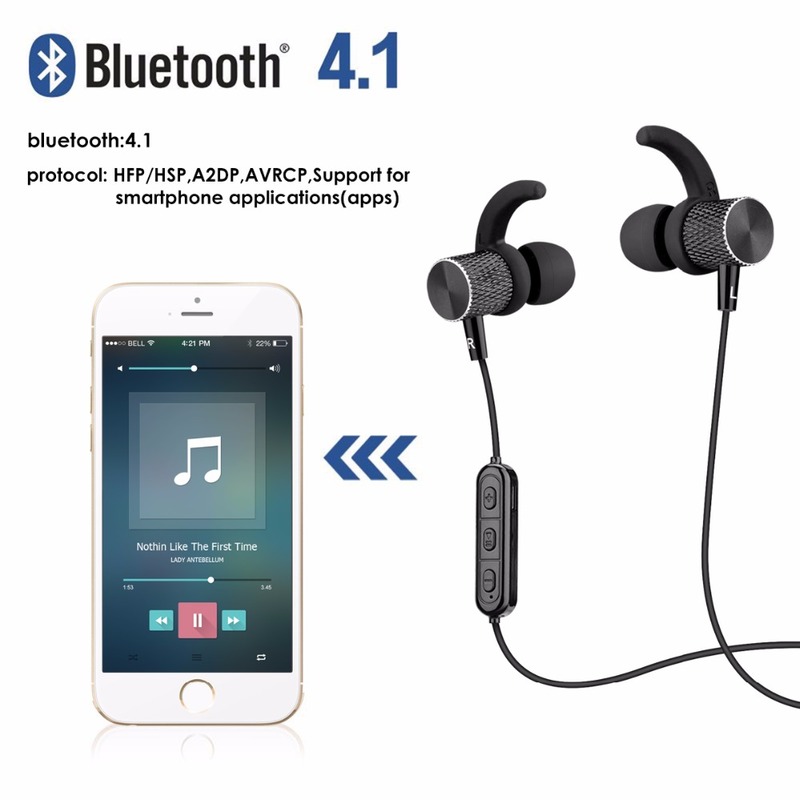 2.Bluetooth 4.1 can connect with your cellphones, tablets and other Bluetooth devices easily and quickly. 3.The amazing stereo sound quality can make you listen to music wonderfully, and noise Isolation technology reduces outside noises. 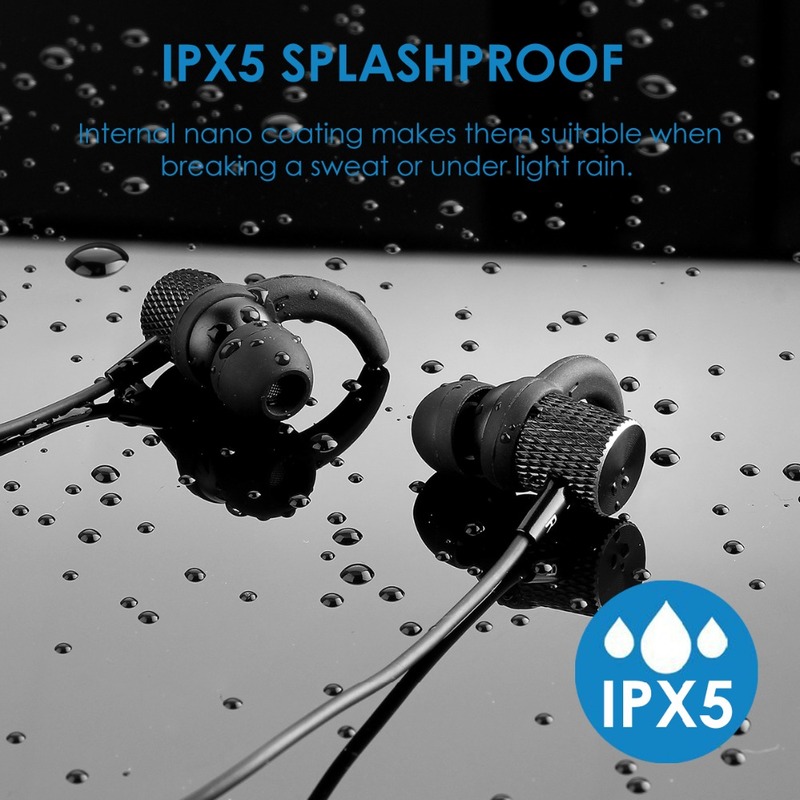 4.Lightweight, compact, and portable, lighter than a coin. 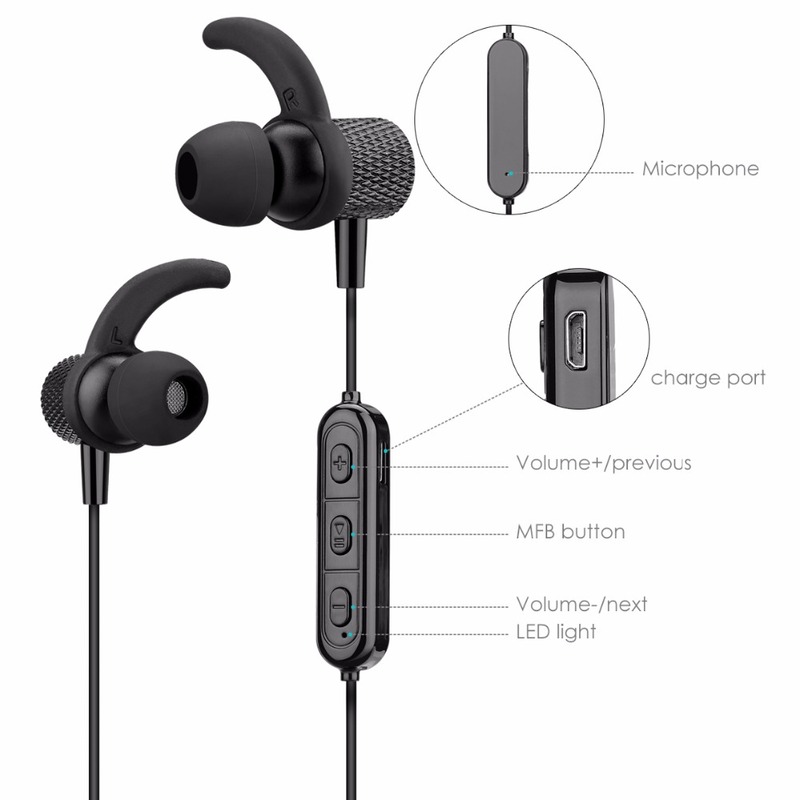 5.Long battery life, Stand-by time up to 400 hours, music time up to 10 hours, the good battery life can avoid charging frequently. 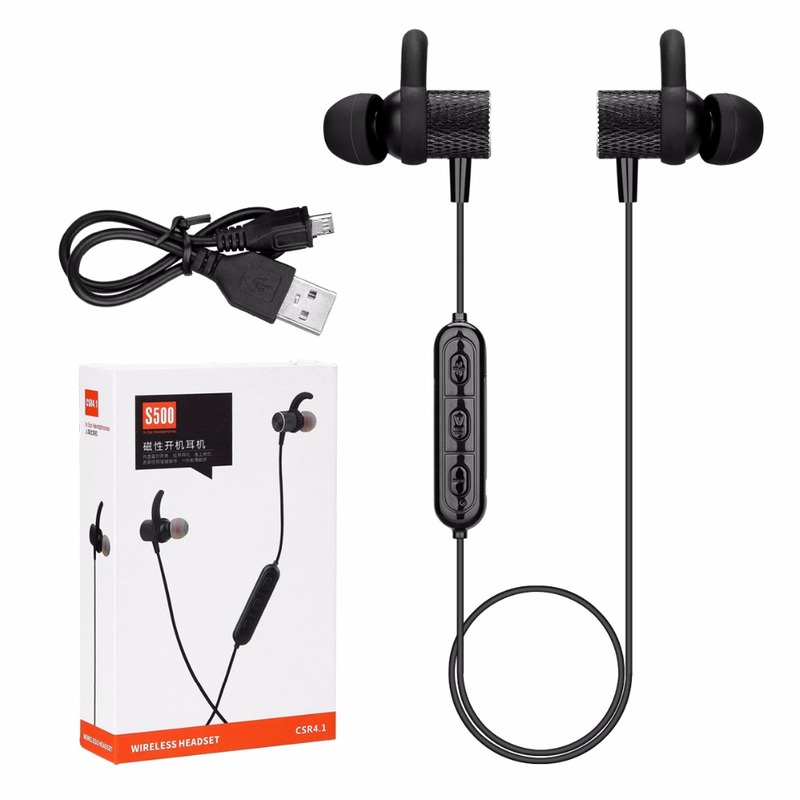 6.The great compatibility which can be easily compatible with your devices, whether they are cellphones, tablets, or other devices. 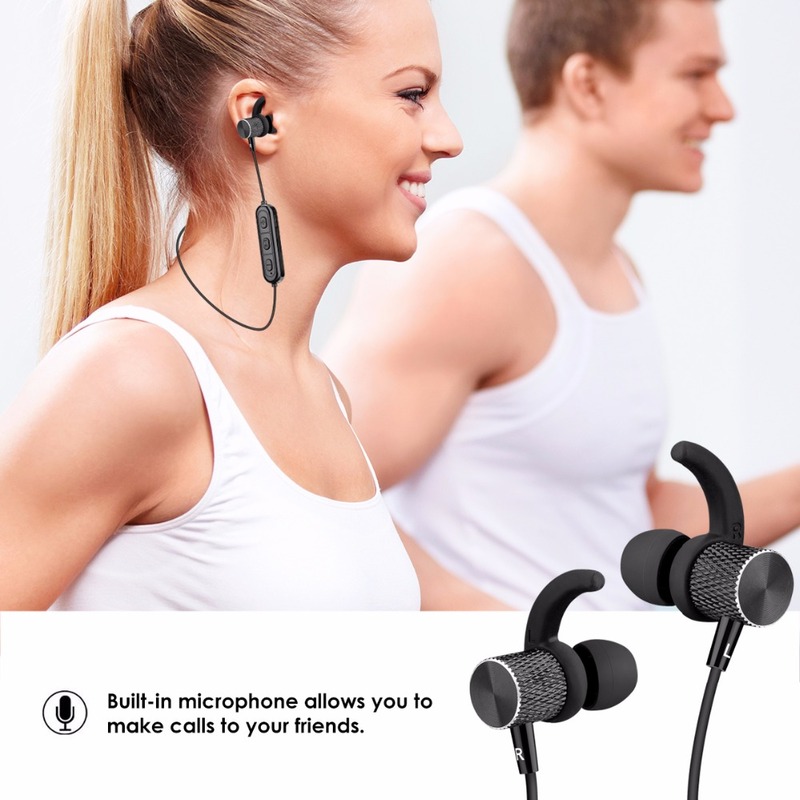 Special Design: Built-in magnets, Smart design, the two sides unite with each other to power off, separate to power on, which brings you a cool experience, it is compact, convenient and lightweight, you can hang on neckband when not using.